It’s graduation season, which means time to start looking for some unique and fun gifts for grads! While cash is still king to a graduating teen, sometimes you want to get a little something to go along with it. If you know a teen heading off to college this fall, a dorm room makeover kit is a super cool gift that’s both practical and fun…especially when you hit the pages of Redbubble for inspiration. Check out my tips for creating a dorm room makeover kit that sends your favorite teen off to college in comfort and style! Redbubble sent me the super cute mug below to accompany this post. I am also an affiliate, which means if you click the links, I get a small commission. I absolutely love Redbubble, so of course, all opinions are my own. Let’s start with my favorite, shall we? Coffee! Every college student needs a mug for their dorm room, even if they’re not coffee drinkers. They can use it for tea, cocoa or soup too. 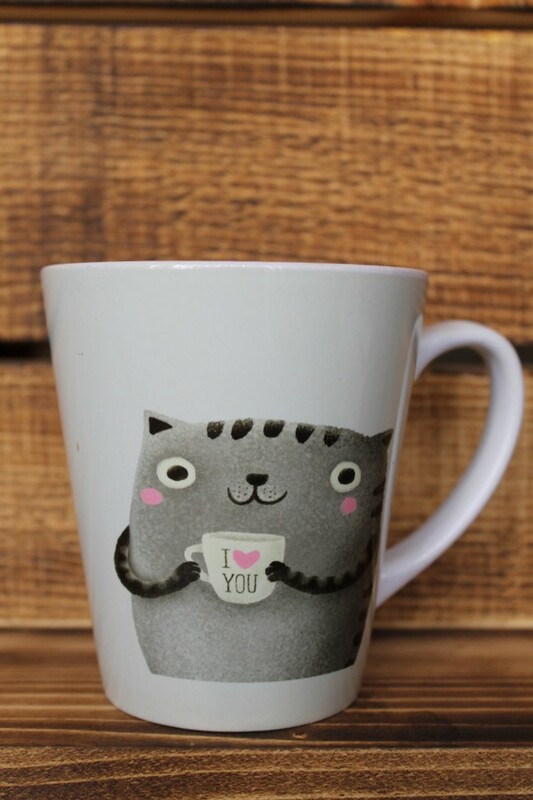 My mom kind of stole my super cute I♥you mug because she likes the shape. It comes in standard and tall. I got the tall, because I need a lot of caffeine. With over 2,000 different mug designs to choose from, you’ll find the perfect one for your dorm room makeover kit! Turn boring dorm room bed into a canvas for self-expression with any one of over 1,500 duvet covers. One of my many favorites, a quote from Dean Winchester of Supernatural, reminds your grad that You Always Have a Choice. I have one of Redbubble’s duvet covers and I absolutely love it. Such high quality and easy to wash. I’m taking the comforter out for the summer and using it as a lightweight blanket on the cooler nights. Got a future doctor in the family? Send your grad off to pre-med school with this cool Fresh throw pillow! Maybe the nifty lung design will remind her to get some fresh air! If not, it will keep her comfy while she’s up all night studying! Did you know that Redbubble has metal prints now? I feel a whole post on those coming up in my future, I see so many that I just love! Again, with so many styles to choose from, you’ll find something your grad will love. 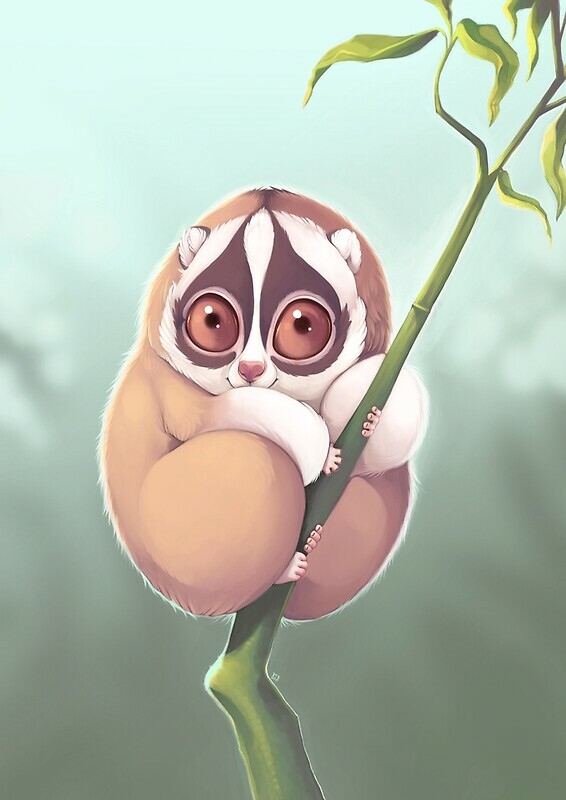 I personally adore this Slo Loris print by sammylewis. Why opt for metal prints over a traditional poster or canvas? Honestly, it’s a matter of preference. You could go with canvas or even poster paper prints, but the metal prints have the art infused into the aluminum. In my opinion, they’ll hold up better in a dorm room environment. Every dorm room needs tote bags. Where else is your grad going to stash all the snacks she snags from the cafeteria? 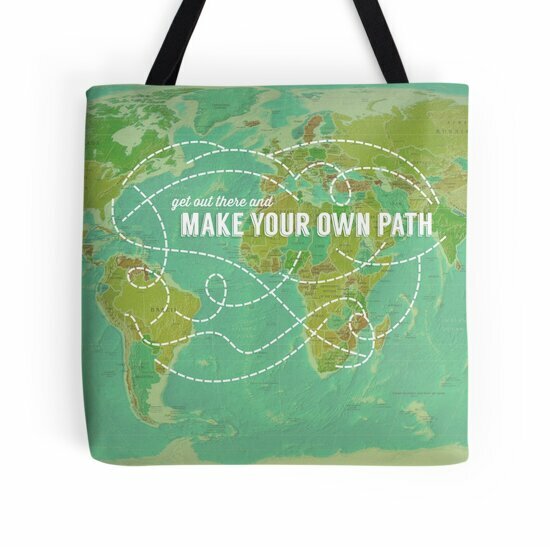 This Make Your Own Path bag by WorldSchool is the perfect reminder for college students. One tote bag is never enough, so check out all the other cool designs and grab a few more to round out your dorm room makeover kit. When totes are fun or pretty, they double as decor. Finish off your dorm room makeover kit with a stylish calender to help your grad keep track of the days until winter or spring break. The right calender does double duty as wall art too. In fact, it can actually become 12 pieces of wall art. I used to take the pages out of my favorite calenders, frame them and hang them gallery-style along my wall. I love the blue bodrum calender because there is something magical about a closed door. It’s so full of possibilities. Kind of like the box that housed Schrödinger’s cat. 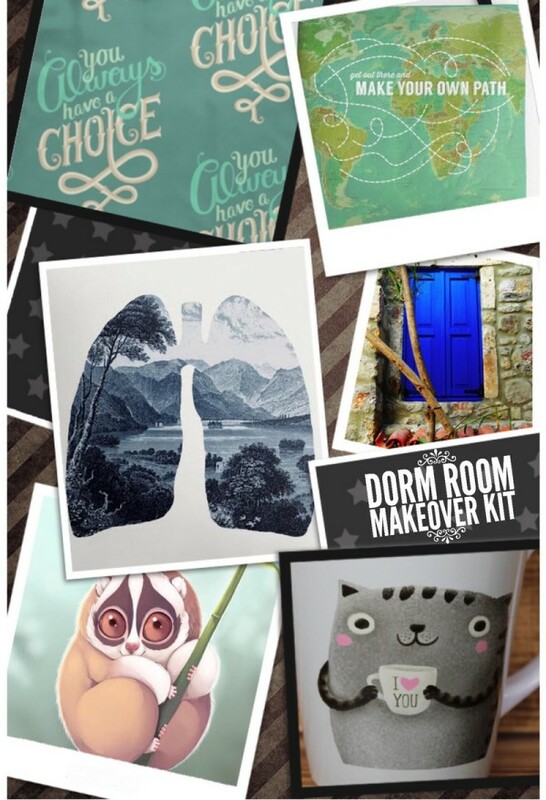 These are just a few of my favorite ideas for your dorm room makeover kit. Think about what your favorite grad will love and choose gifts based on her personality (or his!). What would you include in a dorm room makeover gift for grads? Tell me in the comments! Cute and modern looks! I love the idea of something like this for a graduate. 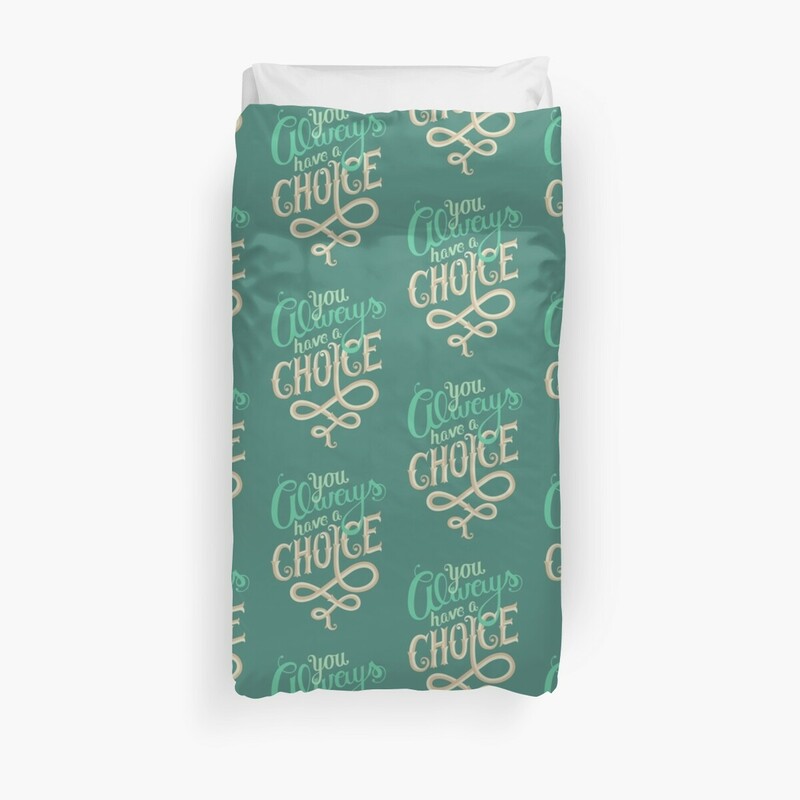 This is a selection of cool stuff for a dorm room makeover, i love the “You always have a choice” duvet cover. And they have some awesome wall art too! I love the cup idea! A grad always needs nice cups to drink out of. A nice closet set to help organize clothing would be a good idea, also a shower bag that the grad can put all their toiletries in and take with them when they shower! These are some good ideas for graduates. 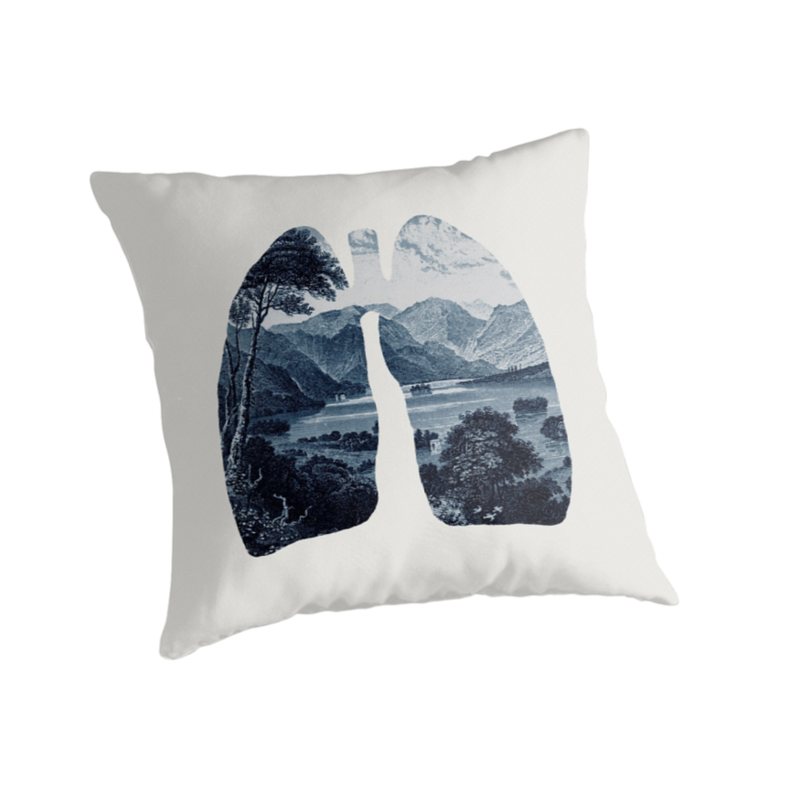 That lung pillow is awesome!